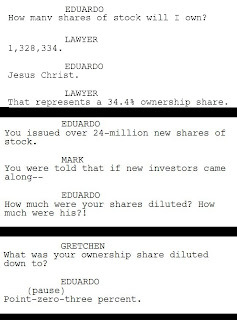 Eduardo Saverin begins owning approximately 1/3 of Facebook shares, but ends up owning approximately 1/27 after signing his "own death certificate" by allowing for the eventual issuance of 24 million new shares. 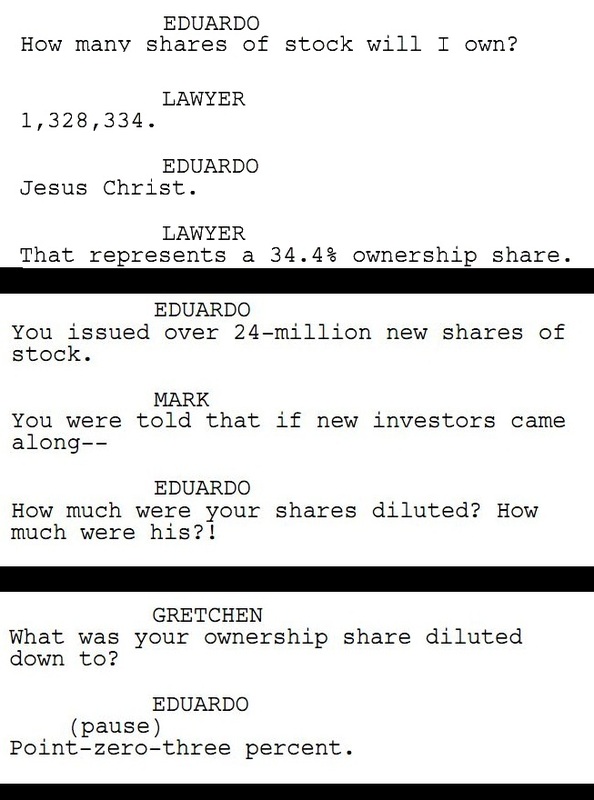 He characterizes this ownership dramatically as "point zero three percent" (.03%). In actuality this is roughly 3% after dilution. Yes, 1/27 = ~.03 (the likely source of the number in the movie), but expressed as a percentage this is ~3%, not .03%. Concatenated script of "The Social Network"